James Campbell, winner of the $400 No-Limit Hold 'em event. Thanks for the support guys. I ended up chopping 3 ways for 24k as chipleader. Feels good to be back in the winners circle. Been too long! Thanks to everyone for the well wishes. The support means alot. I got the best family and friends there are! 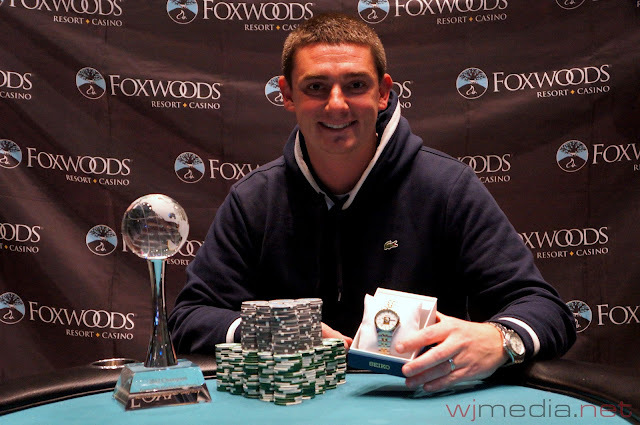 After a three-way chip chop, Campbell is officially the champion of the $400 No-Limit Hold 'em event at the 2012 Foxwoods World Poker Finals. 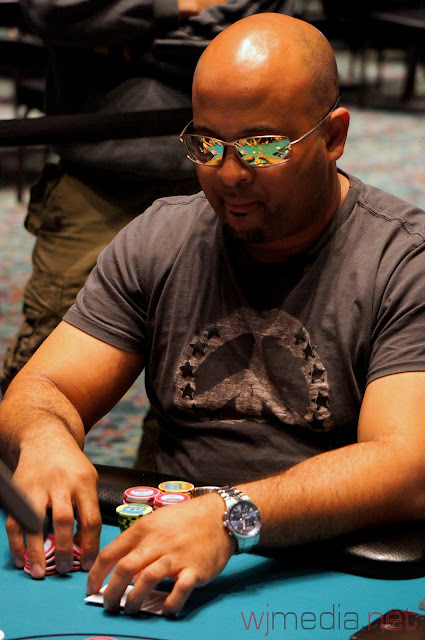 Campbell takes home $24,000 as well as the World Poker Finals Trophy and watch. The board runs out [Td][6h][5d][2d][Qs] and Campbell's aces hold to eliminate Sica in 6th place for $5,369. 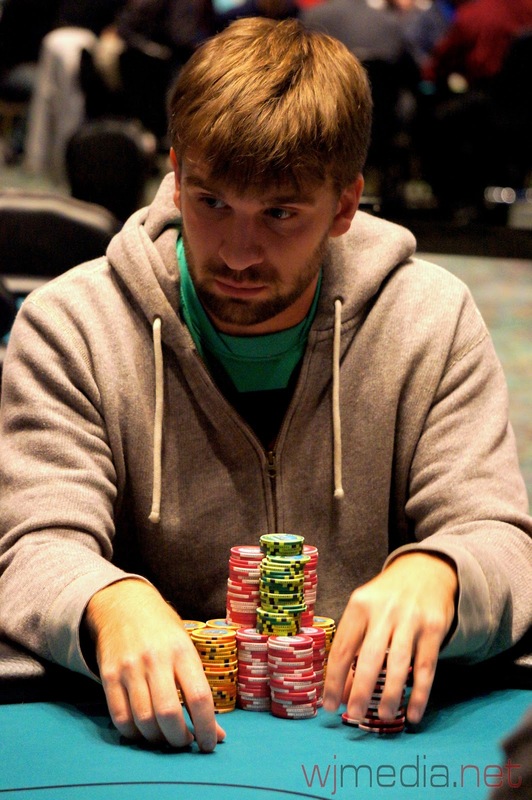 Campbell is now the chip leader at the table with about 2.8 million. Ironically, Campbell was dealt aces again on the very next hand. However, it was declared a misdeal and the hand did not play. 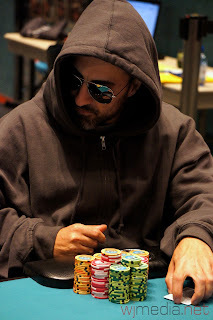 Bobby Corcione moves all-in for his last few chips with [9h][9s] and is called by David Datashuili with [Jd][Jh]. The board runs out [Kd][4s][3s][2d][Qd] and Datashuili wins the hand with his pocket jacks. 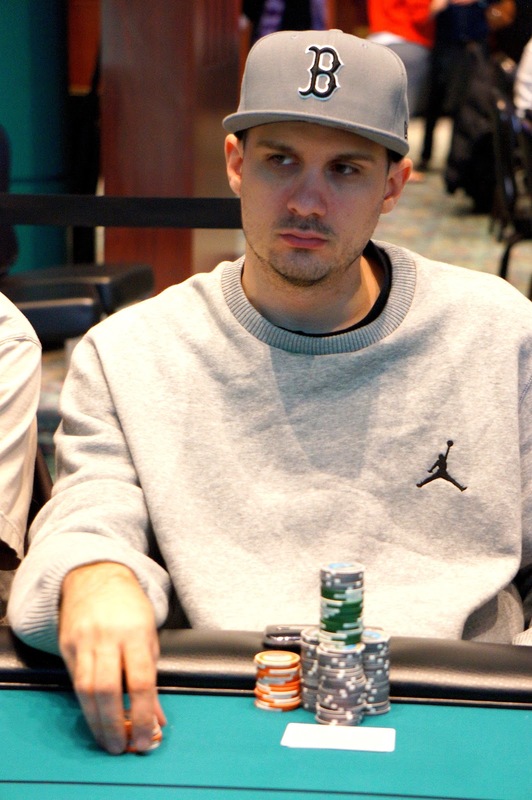 Corcione is eliminated from the $400 No-Limit Hold 'em Final Table in 7th place for $4,170. Corcione continues his good run though. He finished 21st at the 2012 WSOP Main Event as well as cashing three times in August at the Foxwoods Mega Stack Challenge for nearly $20,000. Both the $400 No-Limit Hold 'em Final table and the $300 Bounty events are currently on a one-hour dinner break. There are now seven players remaining at the $400 No-Limit Hold 'em Final Table. 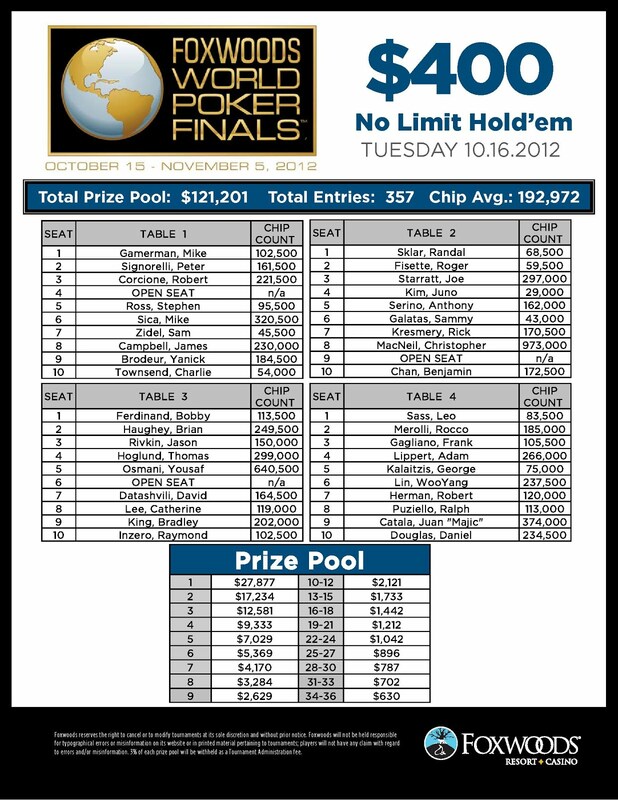 There are approximately 56 players remaining in the $300 No-Limit Hold 'em Bounty event. 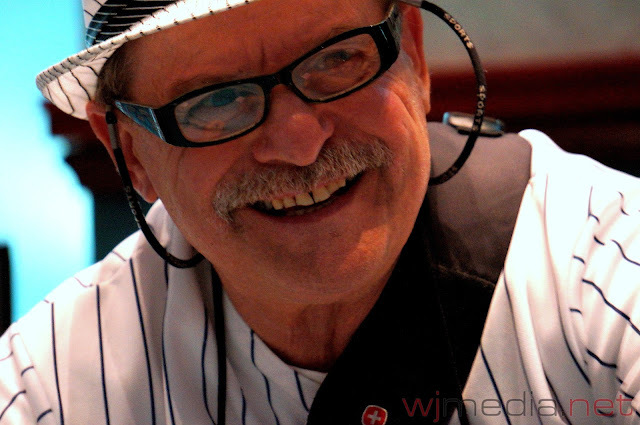 You can watch the live stream of the final table at FoxwoodsLive.com. We had a total of 313 players in today's $300 No-Limit Hold 'em Bounty event at the Foxwoods World Poker Finals. The final 33 spots will finish in the money. There are currently 160 players remaining with the blinds at 500-1,000 with a 100 ante. 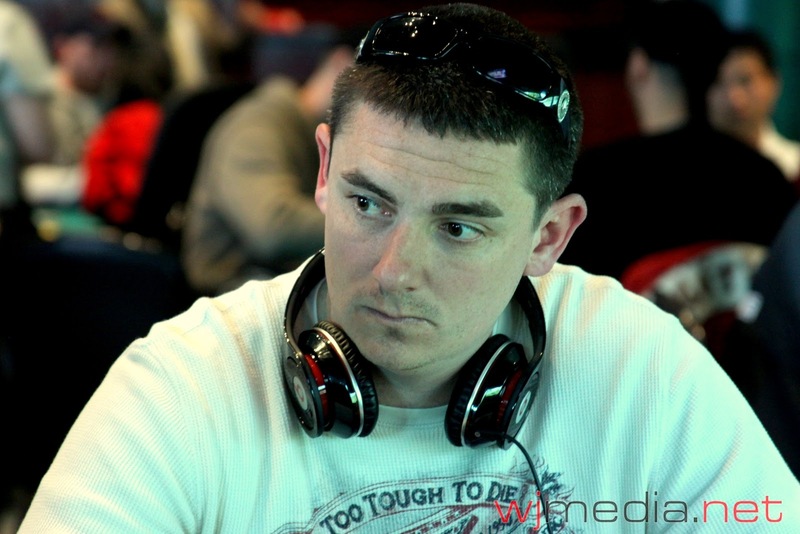 James Campbell is now seated at the live stream feature table. We are down to 18 players. Good start 2 the day up to 450k. You can watch after break @ foxwoodslive.com if you want to see me win this! The feature table of the $400 No-Limit Hold 'em event is now streaming live. Just click on FoxwoodsLive.com to watch. 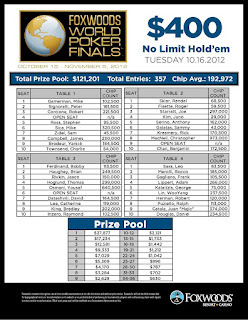 Over 300 players entered the $300 No-Limit Hold 'em Bounty event today at the Foxwoods World Poker Finals. The players are just coming back from their first break of the day. Final numbers and payout will be posted as soon as they are made available. Play has resumed on Day 2 of the $400 No-Limit Hold 'me event. There are 37 players remaining with the final 36 spots cashing. 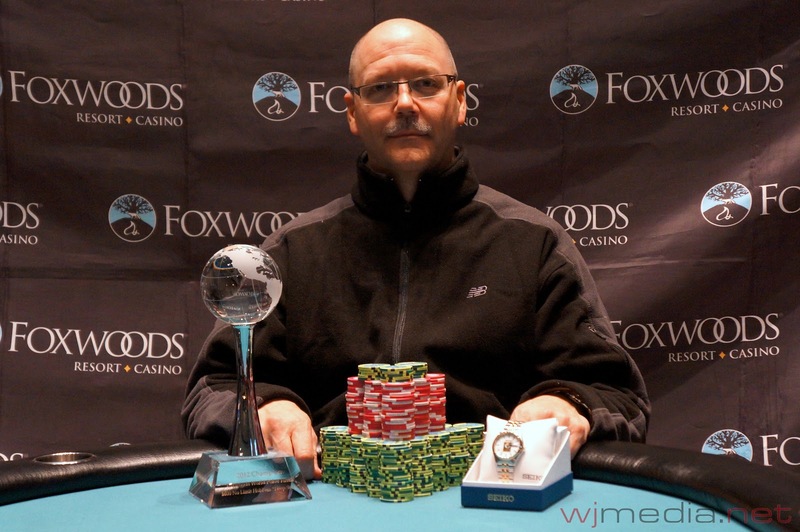 Bruce Southwick, champion of the $600 No-Limit Hold 'em event. The final five players in the $600 No-Limit Hold 'em event have come to an agreement on a chop. Bruce Southwick if officially the champion, taking home $27,000 as well as the World Poker Finals trophy and watch. Play has come to end on Day 1 of the $400 No-Limit Hold 'em event with 37 players remaining. Day 2 will get underway at noon tomorrow and play down to a winner. 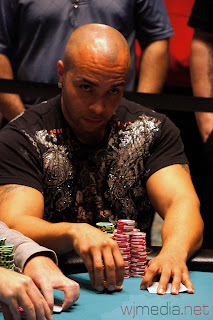 Jose Pena has been eliminated in 6th place for $8,849. The board runs out [Ac][7c][6s][Ks][4d] and Southwick wins the pot with his queen high. 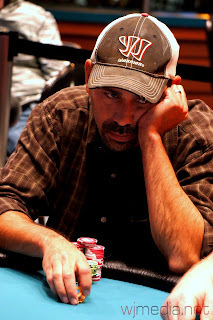 Augustine is eliminated from the $600 No-Limit Hold 'em event in 7th place and takes home $6,871.